Free birthday collage maker gives you more ways to say congratulations. Online birthday collage maker from Smilebox really opens up a lot of possibilities. Let the birthday boy or girl know in how many ways you appreciate them with a free birthday collage maker design that captures your thoughts. If you want some inspiration, have a look at the various styles of online birthday collage templates we have – one of them is sure to spark some ideas. You will also love the ease of use that goes along with our online birthday collage maker. Read below to discover its simplicity and sophistication. Online birthday collage maker templates give you a wide range of selection according to layout and theme. Find the one that is closest to what you had in mind and then click it and on “Personalize”. 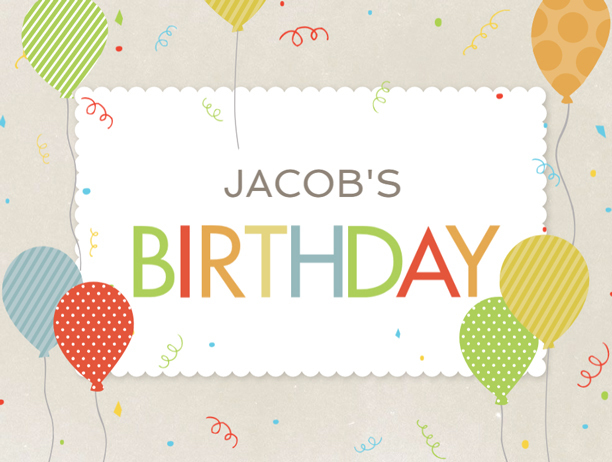 Free birthday collage maker designs use multiple images to give you a full set of expressions. Don’t be afraid of using a template with a lot of spaces for photos, because with the online birthday collage maker, finding your picture files is easy. Just click “Add More Photos” in the online birthday collage maker and you will get access to all the images stored on your phone, social media account, and computer. Online birthday collage maker lets you edit virtually all of the text on the page. You can also try various color schemes, fonts, font sizes, and font colors. You can even vary the number of photo frames per page. In each case, the free birthday collage maker template is updated immediately. Share your personalized free birthday collage maker design with the birthday boy or girl. If they are old enough for an email or social media account, you can send it to them directly. Want to include it with a gift? Print it at home and deliver them together. The online birthday collage maker from Smilebox provides a multitude of designs for making a general picture presentation as well as themed cards for everything from graduation to grandma’s birthday. The tone of a free birthday collage maker template is available in ranges from black and white to wonderfully colorful. But even within our selection of layouts, you can refine your design even more. Check out the “Choose Your Layout” option, which enables you to decide on the number of photo spots that you want in your free birthday collage maker template with the click of a button. Free birthday collage maker can bring order to your wide photo collection. Over time, the images on your phone, computer, and social media accounts add up. The online birthday collage maker lets you pick some of your favorites and combine them in a creative theme. Imagine the fun of seeing so many photos and memories brought back to life. The online birthday collage maker gives you an opportunity to assemble some of the photos from the forgotten corners of your digital devices into something to be shared with everyone who cares.